By Adjua Fisher·	 6/4/2015, 2:15 p.m. The weekend is almost here, folks! Over here in Be Well Philly Land, we are counting down the minutes to Be Well Philly Boot Camp, but there are also a ton of other fun fitness events on the books for this weekend, from the festival of every vegetarian’s dreams (otherwise known as VegFest) to the first Fit Friday at Philadelphia Runner, and more. Check ‘em out below. When: Saturday, June 6th from 9 a.m. to 2 p.m.
Where: Drexel Recreation Center, 3301 Market Street, University City. We can’t even begin to express how excited we are for this weekend, referred to in our books as Be Well Philly Boot Camp weekend. 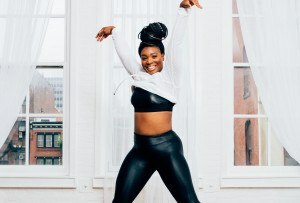 We, along with all the other Boot Campers out there, will be getting our sweat on with studios from all around the city — from Flywheel to Lithe Method to Unite Fitness, and more — plus, we’ll be loading up on cooking knowledge from chefs around the city, getting massages, shopping the goods in our Be Well Philly Boot Camp Marketplace, and more. And, of course, we’ll finish the day off with a glass of wine at our Healthy Happy Hour. There are only a few tickets left, so hop to it if you’d like to join in on the fun. When: Sunday, June 7th at 8 a.m.
Where: East Falls, Lemon Hill, Kelly Drive, Manayunk’s Main Street, and The Wall. If you plan on posting up to watch this year’s Philly Cycling Classic, you are in luck: Our friends over at Ticket have picked out the best spots to watch the race, from Lemon Hill — perfect for folks who want to barbecue — to Main Street in Manayunk — perfect for folks who want to pop open a beer. When: Friday, June 5th at 6 a.m.
Where: Meet at Cedars House Cafe, 200 Northwestern Avenue, Wissahickon. iRunTheHill’s first run was such a success, they decided to host another one — this time in the morning — this Friday! The three-mile run/walk will leave from Cedars House Cafe at 6:05 a.m., and all paces are welcome, folks who just want to walk included. After you get your sweat on, the group will sip on some coffee at the cafe. Pretty perfect way to start your Friday, don’t you think? When: Friday, June 5th at 6:15 p.m.
Where: Philadelphia Runner, 4358 Main Street, Manayunk. Guys, this is very cool: Philadelphia Runner is kicking off their very first Fit Friday this weekend. What’s Fit Friday, you ask? 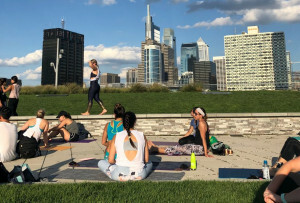 Well, instead of getting your gallery-hop on the first Friday of the month, you’ll get your sweat on with a free hourlong fitness class followed by happy hour and shopping (complete with discounts) at the Philadelphia Runner store. Yes, please! 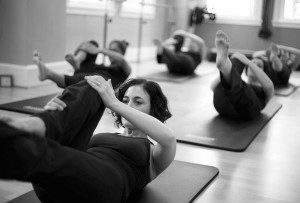 This week’s class — a 20/20/20 workout of running, boot camp, and yoga — will be taught by the wonderful Kasey Manwaring of GoalsFit. When: Saturday, June 6th from 11 a.m. to 4 p.m.
Where: The Shambles at Headhouse Square, 2nd and Lombard Streets, Old City. This year’s VegFest is going to be even bigger and better than last year’s inaugural day of veggie-themed fun. They’ll have tons of veg-friendly food vendors and retail vendors on deck, plus live music, a dog station (I’m not entirely sure what that means but it sounds great), and some sweet speakers, including Gene Baur, the co-founder of Farm Sanctuary. In short: It will be a vegetarian’s dream come true. And did we mention it’s free? Note: The fest was originally planned for Clark Park, but not they’ll be setting up at the Shambles at Headhouse Square instead. When: Friday, June 5th at 6 p.m.
Where: 68 North 2nd Street, Old City. 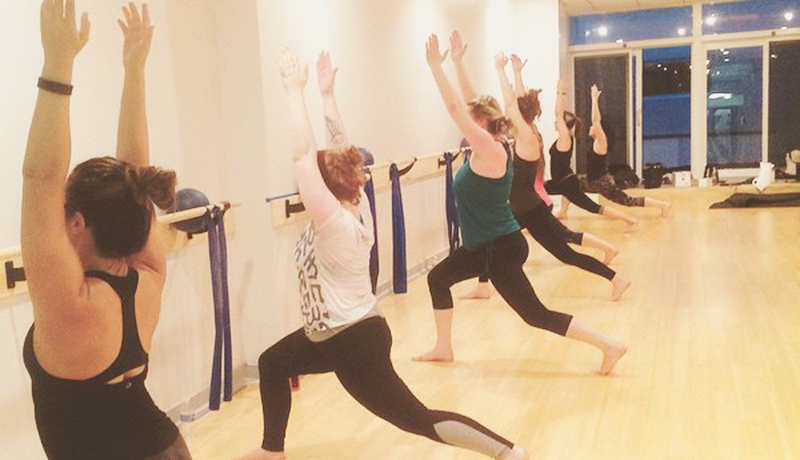 Tomorrow evening, you can try a mashup of two of Allongée’s classes, bikiniLOGIC and Vinyasa, for free. 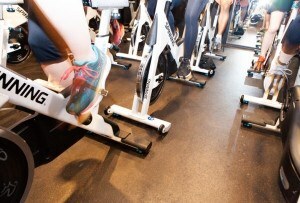 It’ll be a cardio-based class with a Vinyasa cool-down — in other words, the best of both worlds. They’ll also be having a happy-hour sale on their retail items from 4 to 9 p.m. Yes, please! You can email them at bodylogicinfo@gmail.com to register.